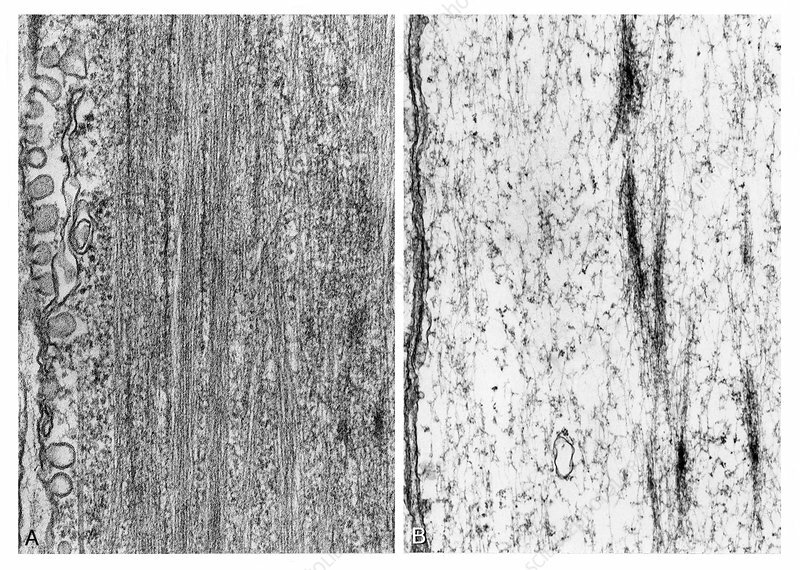 Smooth muscle cell showing bundles of longitudinal filaments. In figure B, muscle is perfused with Krebs-Ringer solution. The myofilaments are no longer present. The 10nm cytoskeletal filaments and dense bodies remain. Upon reperfusion with original solution the filaments reappear and contractility is restored. Transmission electron micrograph.